#Tallinn. #BestofTallinn. #BalticCruises. #ShoreTours. #CruiseExcursions. #CruiseShipExcursions. #CruiseShipShoreExcursions. #ForCruisePassengers. ForCruiseShipPassengers. #BalticVacationTours. #PrivateTourGuide. 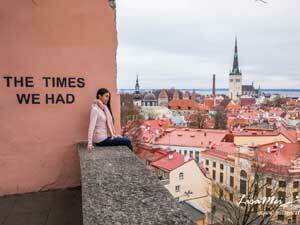 Individual and group tours in Tallinn for cruise line passengers. 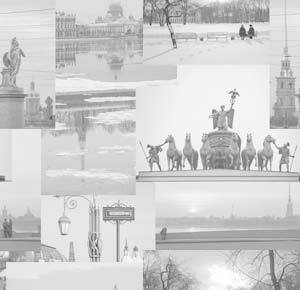 Price for open group tours: $60 PP ($45 PP if booked with St. Petersburg itinerary). 9.00 » Meeting with your guide at the port gate Transfer by a car/minivan to the Toompea Hill (Upper Town). You will pass the center of Tallinn and Liberty Square. 9.00-12.00 » Walking part of the tour starts from Toompea Hill. Here you will see the impressive Russian Orthodox Cathedral of Alexander Nevsky (brief inside visit is possible) and the Dome Church, also known as St. Mary's Cathedral. It's one of the oldest churches in Europe. From the Toompea hill you will enjoy gorgeous view of the Lower Town, its towers, steeples and picturesque red-tiled roofs. Strolling down the hill we will see main parts of the Lower Town: the Town Hall Square with the Gothic Town Hall, the romantic Catharine passage with many private artist studios and Viru gates. The tour ends in the city center where you will have a chance to explore the Old Town on your own, to shop for local handicrafts or just relax in a small cafe. Our guide will give you detailed explanations concerning your walk back to the port. You also can use ship shuttle to return back. Price for open group tours: $95 PP ($75 PP if booked with St. Petersburg itinerary). 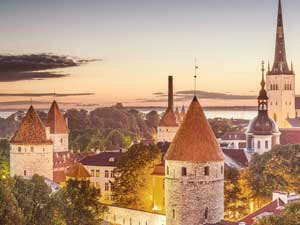 9.00-11.00 » We start the tour with a panoramic drive around Tallinn and the charming coastal areas. You will visit Kadriorg park and palace built by Peter the Great and named in the honor of his wife (exterior visit), Song Festival Grounds where magnificent Song Festivals take place once in five years, ruins of St. Brigitte Convent (exterior visit) and Olympic Village of 1980 regatta. This part of the tour will be finished at the Toompea Hill (Upper Town). 11.00-13.00 » The walking part of the tour. You will start with the Russian Orthodox Cathedral of Alexander Nevsky and the Dome Church, also known as St. Mary's Cathedral. It's one of the oldest churches in Europe. From the Toompea hill you will enjoy gorgeous view of the Lower Town, its towers, steeples and picturesque red-tiled roofs. Strolling down the hill we will see main parts of the Lower Town: the Town Hall Square with the Gothic Town Hall, the romantic Catharine passage with many private artist studios and Viru gates. The tour ends in the city center where you will have a chance to explore the Old Town on your own, to shop for local handicrafts or just relax in a small cafe. Our guide will give you detailed explanations concerning your walk back to the port. You also can use ship shuttle to return back. NB! We cooperate with the best Tallinn guides and are ready to provide almost all possible tours as private options. If you haven't found the desired tour in our list please send a request and we will do our best to provide it.